Living... in Brooklyn Heights, New York, with her husband Cliff and four of their five children, Denise, Theo, Vanessa, and Rudy. Their oldest child, Sondra, is a sophomore at Princeton. Profession... lawyer. Clair regularly uses her skills as a debater to her advantage in everyday life. She is very intelligent and confident on and off the job, characteristics that lead her to excel in the courtroom and in her parenting. It’s best not to start an argument with Clair – you’ll always lose. Interests... herfamily. Clair cares about the security and happiness of her children and husband over all else. Relationship Status... married to Cliff, a doctor. They always appear happy together, even after years of marriage. They rarely disagree and tend to compliment each other's styles well. And although she gives Cliff a say in their decisions, Clair is definitely the dominant force in the relationship and always makes sure she gets the last word. Challenge... balancing it all. Clair has a great deal of responsibility working full time and being a constant presence in all of her children's lives. And especially since she likes having the final say on what they do and is generally very strict (though within reason) with them, she is often stretched thin with her commitments. Still, she manages to succeed in both facets of her life and still maintains a great relationship with her husband, but is never afraid to tell the children exactly how lucky they are to have her and Cliff as parents: "You know you can pretty much do anything you want because, deep down, you know we're always there to bail you out. You see, we're your safety net. And, you'd better not ever forget that, young lady." Personality... intelligent and strong. She is always willing to defend herself or her opinion and rarely backs down from an argument she feels passionate about. She has precise control over her emotional state, and only really loses her cool when the kids do something to really upset her or when necessary to get what she wants. Still, she does so with a high level of confidence and class, and is never one to flaunt her intellect or capabilities. She’s quite a woman. 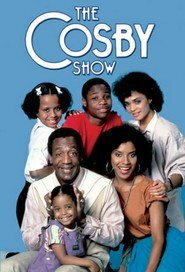 Clair Huxtable's popularity ranking on CharacTour is #5079 out of 5,000+ characters. See our top-ranked characters and read their profiles.